Not many trumpet players have the resume that Chris Botti developed over his career. Chris Botti, was nominated for two Grammy Awards in 2007, including Best Pop Instrumental Album. Then in 2009 he was nominated for three more Grammy Awards, including Best Pop Instrumental Album and Best Long Form Music video. Three of his albums have reached the #1 position on the Billboard jazz albums chart. His smooth style and charm come across in all his performances, whether on a recording or in a live performance. And Botti also effortlessly can transition from sultry to funky. We have tried to provide examples of both. And for New Yorkers, he will be here live on October 30. For more information click here. Botti started playing early and in his senior year of College he left to tour with the likes of Frank Sinatra and Buddy Rich. In 1985 he moved to New York City to hone his craft as a studio musician. In 1990 he began touring and recording with Paul Simon and in 1991 performed with Simon in Central Park. The performance was commercially released as the “Concert in the Park” CD. He began performing with Aretha Franklin, Natalie Cole, Bette Midler, Joni Mitchell, Natalie Merchant and others. In 1995 he produced the Brecker Brothers “Out of the Loop” Album that won a Grammy for Best Contemporary Jazz Performance. 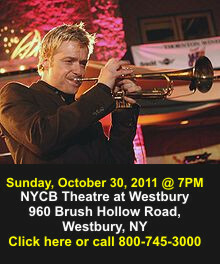 With his smooth, rich and sultry sound, Chris Botti has the ability to make the trumpet one of the sexiest instruments. Here is a great piece called “Steps of Positano.” For those that doubt his charisma, this should change your mind. As we all know it is important to support the musicians and promoters who tireless work so that we may enjoy the music we love. 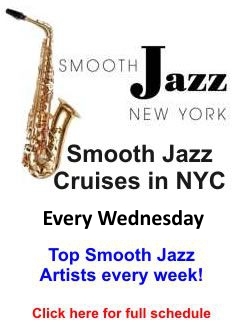 New York Smooth Jazz is one such promoter and here is a list of their upcoming shows! 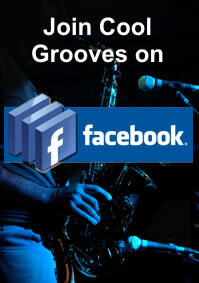 Thank you for supporting Cool Grooves and keep supporting Smooth Jazz! This entry was posted in Artists and tagged Chris Botti, contemporary jazz, david sanborn, smooth jazz. Bookmark the permalink.